New York City is renowned for its food—from four-star fine dining to the hot dog vendor on the corner. 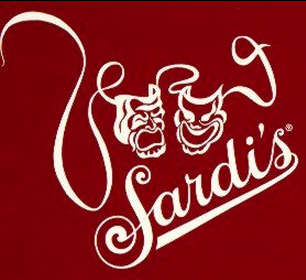 From themed restaurants like Planet Hollywood and the Brooklyn Diner to Broadway’s favorite, Sardi’s, there is a perfect place to satisfy every palette and budget. Stagenotes.net has compiled this list of Times Square’s most popular eateries that cater to student groups and deliver good food at good value. Keep scrolling to discover our favorite places in Times Square to satisfy your sweet tooth. Sign up for the Stagenotes.net e-newsletter so we can send you special offers throughout the year from these and other companies. 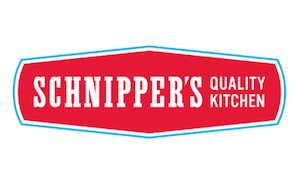 In the mean time, click on the company logo and we will connect you with the restaurant’s website or group reservation department. 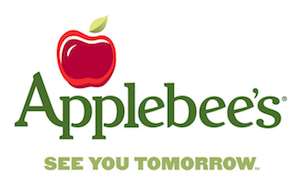 Description: Always kid-friendly, always with welcoming service, Applebee’s Neighborhood Grill & Bar is a national chain that serves consistently appealing food at reasonable prices. And with locations in all five boroughs, they’re convenient as well. Try the Times Square branch, for their stellar view of all the buzzing city action. Description: Bareburger restaurants offer mouth-watering organic burgers and sandwiches, fresh salads, delicious shakes and sharable snacks in environmentally sustainable, eco-friendly locations. Their menu features a variety of meats, including traditional beef, chicken, turkey and lamb; exotic options such as elk, bison, ostrich and boar; and mushroom, veggie and black bean burgers for vegetarian and vegan guests. 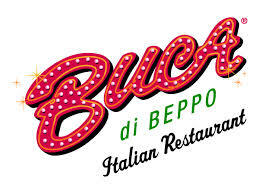 Description: Wonderful Southern Italian food served in abundant portions. Celebrate festive occasions with loved ones; remember the sounds, smells and flavors of your old neighborhood. Enjoy the liveliness, crowds, and hustle & bustle of the city. Groups welcome. Description: Even in the cacophonous madness of Times Square, Dave & Busters provides an amped-up level of fun, fun, fun. Where else is there to play video games and Skee-Ball, drink copious amounts of outrageous cocktails and feast on an extensive menu of satisfy-your-craving bar food? Check the website for tons of specials, with bargain-price game plans available almost every night. Description: Times Square, Midtown Manhattan, New York City, the home to Broadway theaters and the biggest New Years Eve party in the world is also home to this retro 1950’s theme restaurant located at 1650 Broadway. The diner is regarded as one of the best themed restaurants in New York City owing to its own singing waitstaff and some of the best diner food in the country. Serving breakfast, lunch and dinner for tour groups and locals alike since 1987. Description: The 5 Napkin Burger is 10 ounces of fresh ground chuck topped with Gruyere cheese, caramelized onions and a rosemary aioli. In addition to the house burger, the menu features six other burgers: cheddar bacon, Italian turkey, lamb kofta burger, veggie burger, inside out burger and a burger salad. Description: As continually mobbed as the Beatles at Shea, the Hard Rock Café is an ongoing international phenomenon. Waits are common and the volume is up to 11, but the burger and bar-style snacks are hard to resist. Rock and roll memorabilia covers every square inch—remember that Elvis, Led Zeppelin and the Beatles are watching over your every bite. Description: Located in a unique 19th-century church, the country’s largest pizzeria is the perfect budget-friendly location for small and large groups to enjoy New York City’s famous thin-crust brick oven pizza. With a convenient location in Times Square, this is the ideal restaurant to enjoy pre- and post-theater meals with family and friends. 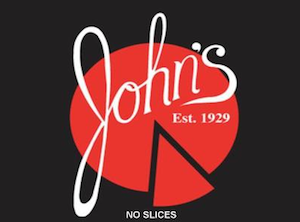 Capable of seating 500 people, John’s can handle groups of any size gracefully in a New York minute. Description: Whether you are seeing a Broadway show, touring the sights or just in need of a great stop in the heart of the city, Junior’s on Broadway is the ideal location. Opened in 2006, this spectacular restaurant features outdoor dining on our patio during the summer, a full service bar, and beautiful new dining room. We like to call it a taste of Brooklyn in the heart of Manhattan. 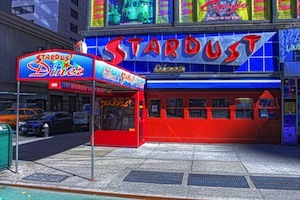 Description: Located in the heart of Times Square, this famous eatery shares the bustle and flash of its surroundings. Diners of all ages chatter and dine among famous Hollywood and Broadway memorabilia in an energetic and exciting atmosphere. 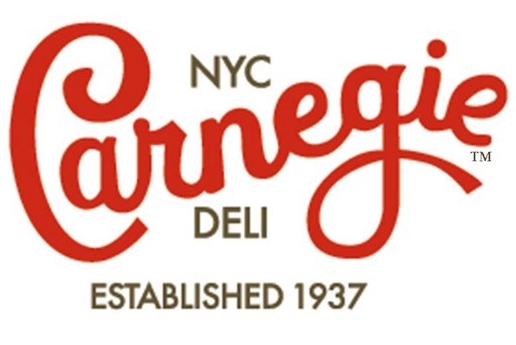 Serving breakfast, lunch and dinner and appealing to all taste levels, this is an experience that will add to your New York City visit. Description: Not many restaurants in N.Y. live to be over 80, but this Italian institution in the heart of the Theater District has been going strong since 1927. It’s the perfect spot for a pre- or post-Broadway meal, featuring reliable fare like cannelloni au gratin, steak tartare and crabcakes; expertly prepared classic cocktails; dozens of autographed caricatures of celebrities lining the walls; and the palpable buzz of a place that’s seen its share of Big Apple history. Description: when you crave a quick simple feel good kind of meal, stop on by — we’ve got classics like burgers and hot dogs and some very special salads, tacos and shakes. We’re fast and friendly, and perfect for aprés theater (oops, that’s foreign), lunch or after work. In case you’re not one of the millions of people that pass by our Times Square location daily, we’re easy to get to by almost every means of transport known to mankind. And bring the kids — they’ll love it. Description: Just a burger’s throw from Broadway’s leading theaters, the Theater District Shake Shack made its debut in July 2010, taking center stage in Midtown Manhattan’s West Side. Guests can drop in for their Shack fix pre- and post- show, as well as lunch, dinner and anytime in between. Floor-to-ceiling windows provide a front row seat to all the action, color and mesmerizing neon lights. This modern day “roadside” burger stand serves up the most delicious burgers, hot dogs, frozen custard, shakes, beer, wine and more. 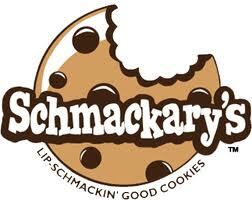 Description: What started as a love for cookies at a very young age developed into a search for the best darn cookie recipes on the planet…After years of perfecting each recipe, Schmackary has finally released these chewy delights to the general public.